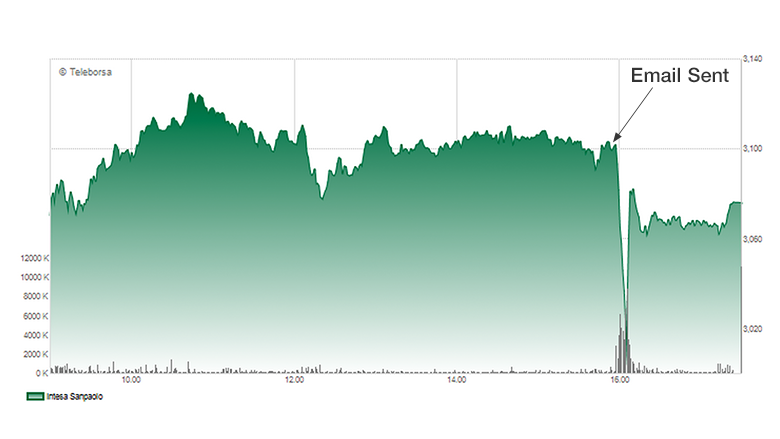 It's every company's nightmare: Friday afternoon and your stock starts tanking without explanation. Turns out you've fallen victim to an elaborate hoax claiming your chief executive has quit after admitting making up billions in profits. Sound far fetched? That's precisely what happened to one of Italy's biggest banks. At about 9:30 am ET, emails started dropping into reporters' in-boxes. The messages included the stunning claim that Intesa Sanpaolo (IITOF) CEO Carlo Messina had resigned after manipulating the bank's earnings to the tune of $2 billion. 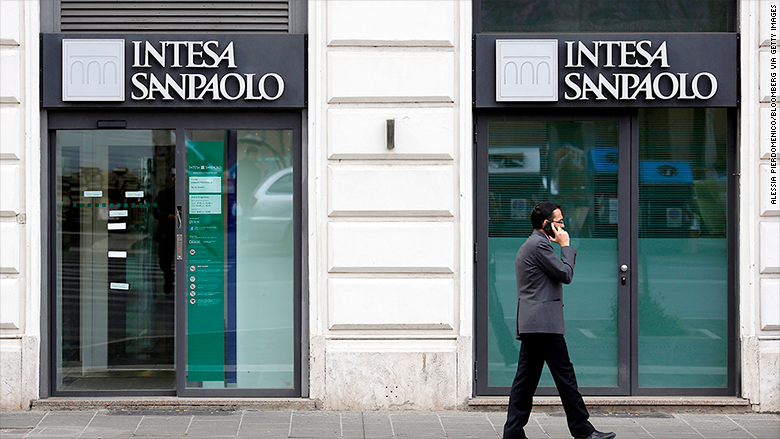 "This press release is totally false and groundless," Intesa Sanpaolo said in a statement. The hoax mail included a link to a website that looked very similar to the bank's, and an email address for the press team at Intesa Sanpaolo -- stampa@intesasanpaolo-group.com -- that was almost identical to the real thing: stampa@intesasanpaolo.com. The hoaxer, or hoaxers, replied to emails sent to the fake address, signing them off "Matteo Fabiani," the real head of the bank's media relations team. Most news organizations quickly figured out something was wrong, but not before the spoof set off a storm on Twitter. The hoax also sparked what one Italian journalist described as "eight minutes of madness" on the Milan stock exchange. Shares in Intesa Sanpaolo plunged from about 3.11 euros to 2.99 -- or nearly 4% -- in a matter of moments, before bouncing back quickly to about 3.08, where the stock closed. The bank said it had informed market regulators, and its tech teams were working to identify the people who had designed and orchestrated the hoax. The bank was also assessing the possibility of legal action.